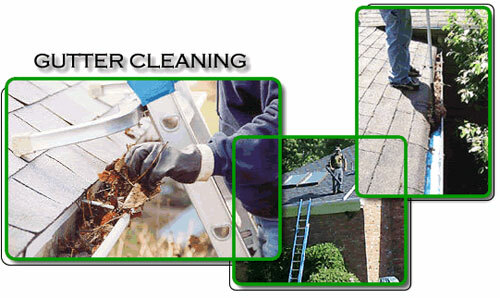 If you need to have your gutters cleaned and refreshed, try Trumbo’s Rain Gutter cleaning serving out of Elizabethtown, to Lancaster, Harrisburg, and York counties. Being in the business for as long as we have, we’ve seen many scenarios when it comes to rain gutters. The most common is improper drainage. We know that when the fall arrives, so do leaves and matter build up, preventing your rainwater from draining properly. We can make sure all blockages are removed, ensuring when it rains, it doesn’t pour. There is nothing that can keep us from getting those gutters cleaned. With over 30 years of experience in the gutter cleaning business in Elizabethtown, Lancaster, Harrisburg, and York, Trumbo’s works hard to keep that knowledge and skill continue. That is why we are insured and fully licensed. We feel doing the job right and good is the best approach. Our prices are among the best and our work estimates never come our of your pocket. Many of our customers have commented about our genuine care, observed with our quality workmanship. If you notice your gutters aren’t holding water appropriately during rainstorms, Trumbo’s gutter cleaning service will get that rainwater flowing again. John Trumbo of Trumbo’s Seamless Spouting and Gutter out of Elizabethtown has been serving Harrisburg, Lancaster, and York County Pennsylvania for 30 years. Fully Licensed and Insured.